Hey everyone back again today with another post from a new series. I have had a overwhelming response regarding my GO NBA! series that I posted a while back, and had the pleasure to work with an apparel company in Chicago named 500 Level. I created a NHL version of in correlation with the 2013 NHL Playoffs. 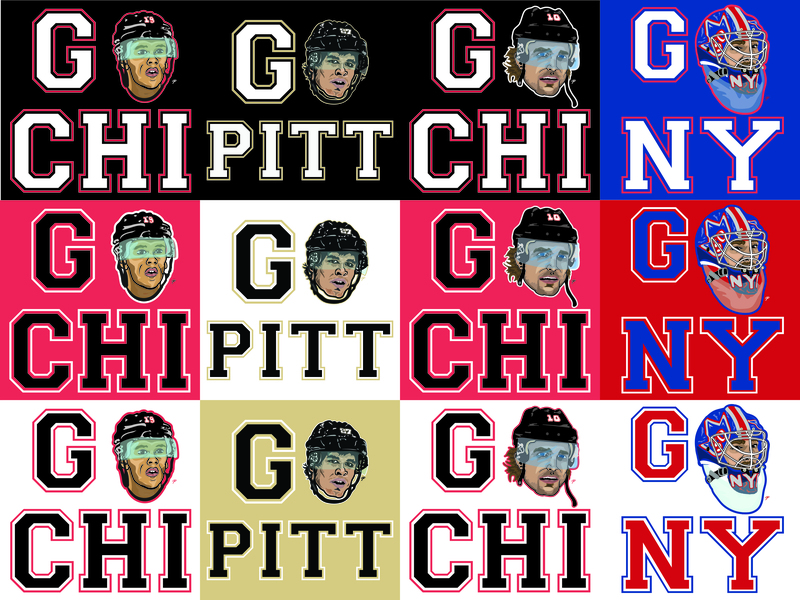 Below are designs for Chicago Blackhawks players Patrick Sharp and Jonathan Toews along with New York Rangers Henrik Lundqvist and Pittsburgh Penguins Sidney Crosby. Purchase a t-shirt with the designs at their sites below and show some support!